Ah, resolutions! Whether you’re the type of girl who makes a meticulous list or you approach the new year with a laissez-faire attitude, everyone has their own style—literally. So, we asked our experts how they do resolutions. From setting immaculate closet goals to redefining their personal style, here are the 50 Style Goals they've set out to conquer in 2018. 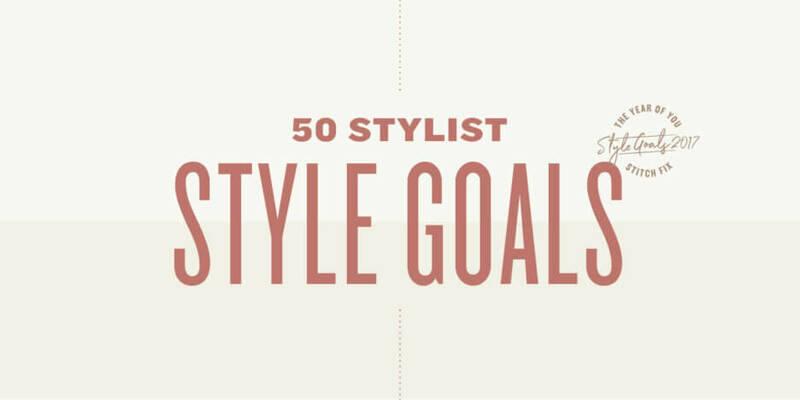 What are your style #goals? Tell us what! Then, read on for more tips to tackle the new year. 1. “I want to quit saving glamorous pieces, like dresses & accessories, for special occasions—every day is one!” —Brittany H.
2. “This year, I only want to wear outfits that make me feel like an off-duty celebrity.” —Mel W.
3. “This year, I want to try bold color combinations like orange and pink.” —Nicole G.
4. “I’m going to challenge myself to wear clothes that show off my body.” —Margaret T.
5. I want to dig out my old vintage rock & roll favorites and give them new life. —Rachel L.
6. 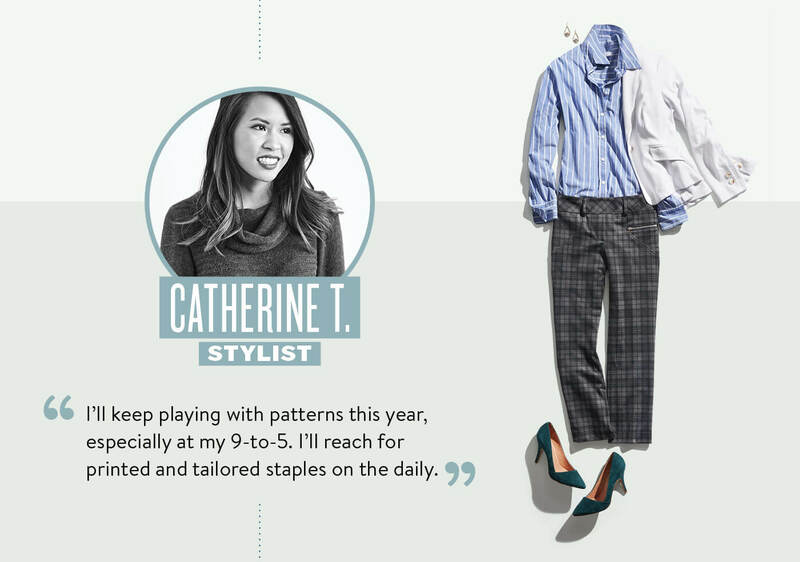 “I’m going to dress up when the mood strikes—not just when I have an event or occasion. ” —Angela G.
7. “Wear a touch more color (anything that adds a pop to black! ), add more ‘meat and potatoes’ to my existing wardrobe capsule & wear more lipstick!” —Dana S.
8. “Any random Tuesday is a great occasion be fashionable and fun! I want to dress up more.” —Courtney S.
9. “I love black but it’s time for me to break away from the neutrals and wear more color.” — Michelle L.
10. “I really want to invest in pieces that feel amazing yet timeless.” — Heidi O. 11. “I’m obsessed with finding a pair of denim that’s perfect for my body—no matter the cost!” —Logan P.
12. “My style goals include: finding the perfect trend coat (vintage or new) and buying silk blouses in all the colors of the gray scale.” —Kate O. 13. “I’m on a mission to find the perfect black blazer to wear with turtlenecks & skinny jeans.” — Brittany B. 14. “My style goal is closet purity. I want to keep and cultivate a wardrobe of pieces I love.” — Kylie D.
15. “Invest in timeless, high-quality pieces to wear for years to come.” — Julie K.
16. “I want to head in a more minimalist direction with great timeless pieces that make me say, ‘Wow!’” — Lily F.
17. “I’m going to find my style muse. I’m so trend-focused that sometimes I get distracted!” — Katie H.
18. “I want to incorporate more neutrals into my wardrobe this year. My goal is to get back to modern staples.” — Meredith G.
19. “I need more heels in my life!” — Laura Q. 20. “This year, I’m cleaning out my closet so that I can see where I need to invest in timeless pieces.” — Kristy E.
21. “I want to try more versatile fashion genres that lay outside of my comfort zone, like bohemian & minimalist styles.” — Michelle S.
22. “I plan to go bright, frilly & girly, and not tamp down my natural inclination to be a little fancy. So what if I’m a little overdressed? I’ll feel like myself!” — Alysha C.
23. “My style resolution for 2018 is to take more risks with trends and styles!” — Karen R.
24. “One of my goals is to try it before I knock it. 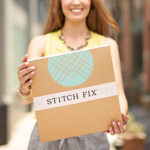 I always see something on a mannequin or a new piece from Stitch Fix and think, ‘I could never pull that off!’ But if I love it, I want to try it on with other pieces in my closet.” — Leah Y. 25. 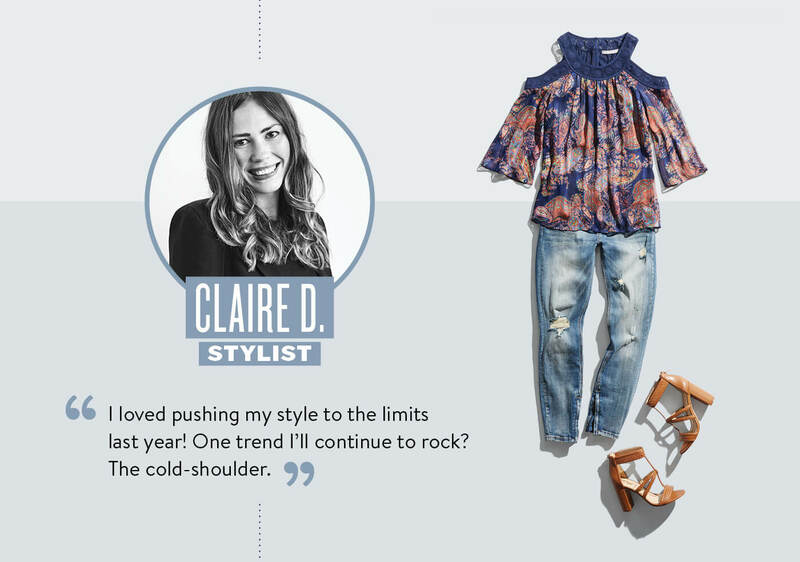 “I’m going to wear edgier pieces like faux leather and statement jewelry.” — Cayla S.
26.“I loved pushing my style to the limits last year! One trend I’ll continue to rock? The cold-shoulder. —Claire D.
27. “My personal style goal is to be more adventurous with color. Wearing the color of the year, Greenery, is first on my list.” — Clara M.
28. “I want to stray from my usual bright colors and learn to incorporate more neutrals & prints into my everyday looks.” — Kelly G.
29. When you don’t dress like everyone else, you don’t have to think like everyone else. I’m taking the words of Iris Apfel to heart! — Shannon A. 30. “Add more color to my wardrobe! It’s easy to get into a fashion rut with dark colors, especially when I’m running out the door in the morning & black is the easiest to throw on.” — Chloe P.
32. “I want to wear more daring outfits that take me out of my comfort zone in order to change my comfort zone.” — Megan M.
33. “I’m going to clean out my closet! Then I want to build my wardrobe with quality items that help me dress up every day.” — Chris H.
34. “My goal is to maximize what I have in my closet by pairing new pieces with past favorites.” — Rachel H.
35. “I love styling others, but sometimes I can forget to be more confident to experiment with my own personal style.” — Rebecca M.
36. “My goal is actually for my clients: to focus on making each client feel fabulous by styling for their individual body shape & unique interest.” — Laurie H.
37. “My style goal is to make every day count. At the end of the day, you are what you wear.” — Alexandra O. 38. “Now that I’m a thirty-something, I’d like to evolve my style to be a little more refined—while still maintaining that ‘city girl’ edge.” — Christina S.
39. “I promise myself to accessorize more so my outfits look polished.” — Catherine H.
40. “I want to wear simple outfits that are fully styled. Whether that’s adding boho jewelry to a whimsical dress or a polished winter coat over a pencil skirt and heels.” — Chelsea M.
41. In 2018, I’ll be challenging myself to rethink what it means to “match.” — Whitney K.
42. “This year, I’m going to swap out my usual stud earrings and delicate pendants for more dramatic jewels—like large hoops (hi, J. Lo!) and lariat necklaces.” — Logan P.
43. “My style goal is to incorporate more dresses & skirts into my weekly rotation. I’m stuck on jeans & I need a change!” — Nicole D.
44. “This year, I’d like to incorporate more dramatic layers into my look.” — Karina W.
45. “I have a lot of casual basics. I want to add more unique pieces & accessories to help me stand out from the crowd.” — Emily F.
46. “I want to pay attention to the small details of every outfit to add depth to my look.” — Chelsea M.
47. “Try more fitted clothes! I love casual, relaxed pieces, but would love to wear more structured clothing.” — Lisa P.
48. “I am going to wear more dresses! I love how easy you can transition from day to night with a quick shoe swap.” — Tish L.
49. “I tend to wear more casual pieces (think: Jen Aniston), but I’d love to push myself to be more minimal & modern.” — Lisa P.
50. “I’m going to work up the determination to wear heels more often (but also learn to bring a pair of flats just in case).” — Hannah B. What are your style resolutions and goals? Tell us in the comments!